Akshay Matkar is the Head of Digital Marketing at Candere.com, one of the leading online jewelry retailers in India & also part of the $1.5B Kalyan Jewelers group. Candere is built on Magento Commerce, primarily because of the flexibility it offers in connecting the back end processes. 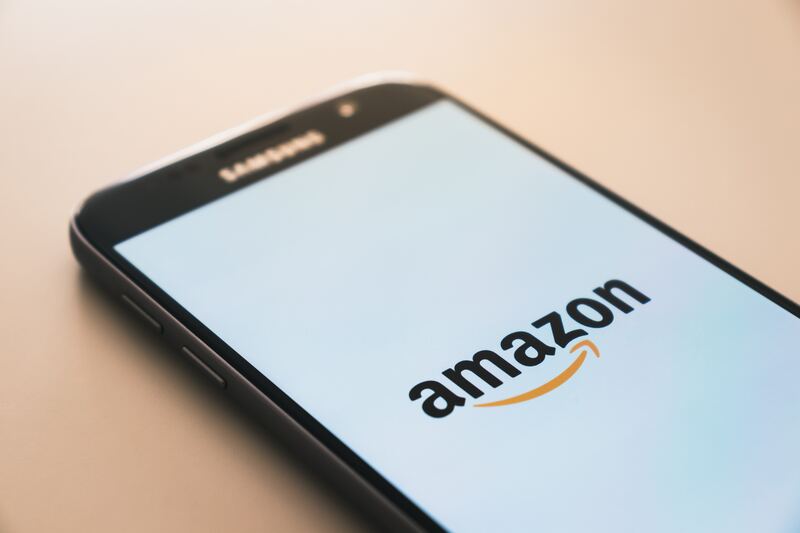 Unlike Shopify, BigCommerce or other platforms, Magento was selected because it supports the complex supply chain or the back end of Candere, that cannot be supported by other platforms. Magento does not offer any advantages from an SEO function, hence Candere completely relies on the expertise of their SEO team and 3rd party tools, to drive organic traffic to their online store. Akshay & team rely on the Google Search console as the Holy Grail of understanding the results of their SEO efforts. An interesting note is that the team is not only interested in the organic traffic to their store, but also the market share of the search keywords where candere.com is visible. Market share was an interesting metric because it is a trailing metric. This means that the higher the market share of keywords for which you are visible today, the higher the increase in organic traffic into your site tomorrow. This is Brand visibility & they want to be seen for anything relevant to their market. Visitors may not click on the page url in search results, but have registered the brand name, which also improves brand recall. In less than 3 years, Candere.com has increased the market share visibility from less than 5% to over 15%, that’s a whopping 300% increase in brand visibility, with the efforts of this team, led by Akshay. In the battle for eCommerce, Google continues to be the biggest winner. 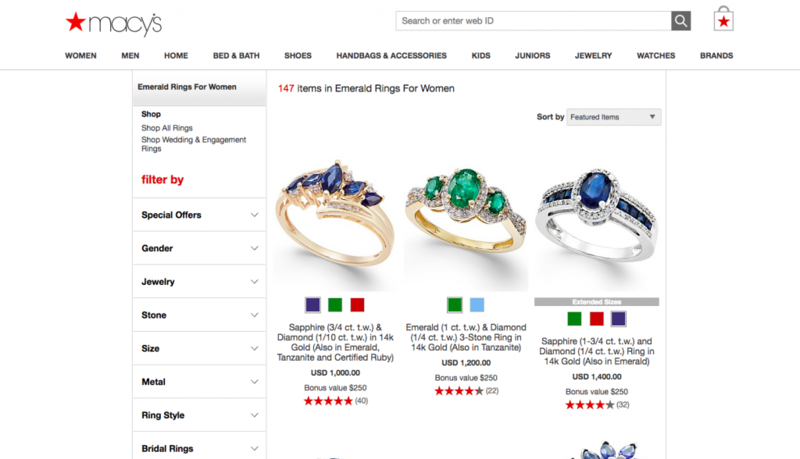 Online jewelers have to pay between $0.5 to $2 per click to bring a unique visitor to their store. With that in mind, Akshay & his team have been a significant impact to the bottom line of Candere, by scaling organic traffic. While this did not happen immediately, their efforts for the past 2 years, have exceeded in returns if you were to look at how much they would need to spend on Google to bring in this traffic via Ad Words. While Candere has made significant expansion in their organic traffic, Akshay is modest to agree that he looks up to his competition as they are still the leaders in organic traffic for the vertical. He especially compliments them on their URL structure, interlinking of pages & site performance that have all contributed towards better SEO ranking of the domain and the pages. Fresh Content: The team continues to monitor the performance of all the listing pages and when they detect a downward trend, the team adds/edits content blocks on the pages to ensure the content is relevant to the relevancy of search queries. Internal Linking: Akshay goes on record to say that if there are 100 parameters for SEO, internal linking is in the top 3. 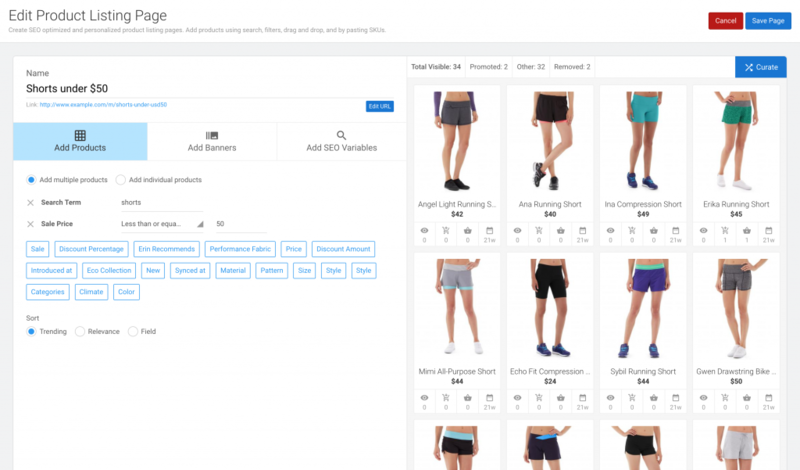 He feels this builds a hierarchy of the online store, to help a search engine better understand the structure of listing pages within an online store. For example, if an online store has over 1000 pages but each page is not linked to each other, this reduces the SEO juice that flows from the domain to the individual pages. While the IP behind how SEO scores are calculated will never be revealed, what Akshay says makes perfect sense. 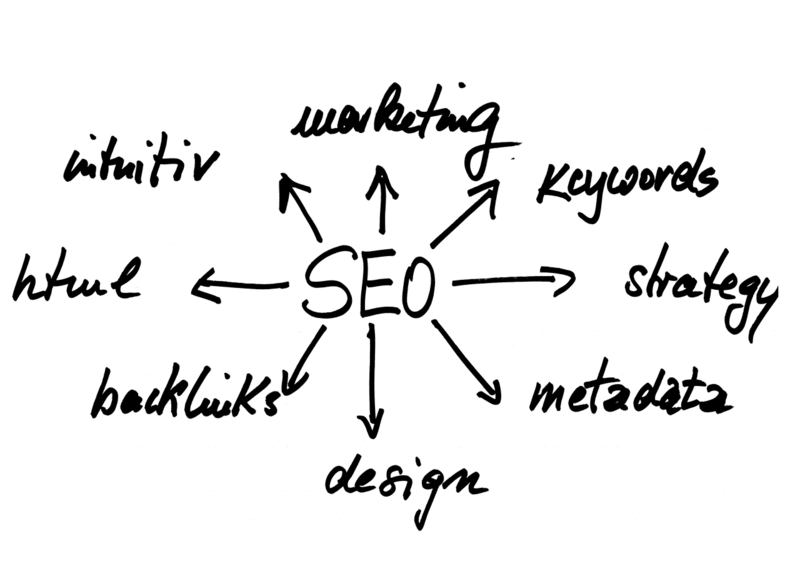 From an SEO standpoint, you can not treat each page with the same importance. Pages linked from the top navigation or another listing page should technically have more SEO juice that an individual page located only on the site map. 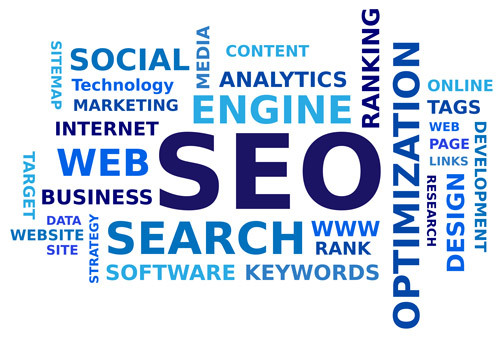 Hence a page that is linked more across the online store, will attract more traffic, that contributes to the SEO score and that can attract organic traffic with better SERP rankings. Akshay added a word of caution that merchants need to balance the need for SEO vs. the expectations of the online visitor. He means while internal linking is more an SEO activity, it might confuse the visitor at your online store who could either be in the awareness, consideration or buying stage, by randomly clicking and being distracted in their journey. Page Format: Merchants invest in SEO efforts across the home page, landing page, product listing pages and sometimes even product pages. From the breadth of experiments conducted by Akshay, he confirms that the product listing pages & the home page are what they invest their time for SEO optimization. Landing pages are not a great idea for SEO optimization but mainly used for other campaigns. Akshay did not spend time talking about product pages for SEO, but I am certain they follow the basics to check the boxes. Product pages are not a great source of organic traffic that converts. HTTP status codes: 301, 302, 202 etc., These signals are used by Search engines to ensure the crawler is efficient. It would be impossible for any search engine to crawl the internet without checks & balances in place. HTTP status codes is a very important part of making sure the crawlers are efficient in the requirement to gather data from the internet. The team at Candere fanatically ensures HTTP status codes are in place. They have internally built tools to manage 301 redirects because for an SEO team, URL changes are constant and they required an efficient way to manage them. 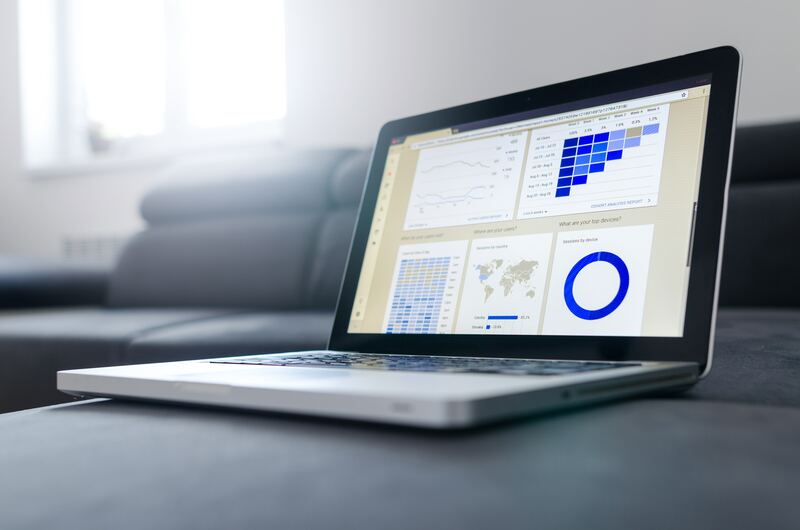 Google analytics: The team at Candere looks at GA as a source of data for Google, before considering it as a reporting tool. This belief pushed the team to invest time in the early part of 2017, making changes to ensure the data was captured correctly in their GA. This also led to the 3X increase in market share and a correlated increase in traffic. If you have incorrectly configured your GA, tracking partial or inaccurate metrics, Google would get that as input data in and consider those data points in their SEO scores for your domain & individual pages. Search engine optimization os part science, part math. While you can try & improve the ranking of existing pages, what about the pages that you are not ranked but your competitor is? Candere uses tools like SEO Profiler & Ahrefs to benchmark competitors and close the gaps. Ahrefs is used mainly for link analysis, which Akshay passionately shared earlier in the section of SEO requirements. SEO Profiler is used to continuously analyze the market, competition & Candere, to find errors, opportunities & gaps, in their existing SEO strategy. He cautions to say that these tools are not silver bullets in SEO. Merchants should start with the basic package form such tools to check the basic SEO requirements in place first – URL structures, Page formats, HTTP Status codes, GA implementation & Content strategy. Once this is in place and the store is seeing a growth in traffic & engagement (low bounce, higher CTRs), only then should they invest in complete packages from these tools to put fuel into their SEO rocketship. Using the above-mentioned tools, the team has created a master keyword list and have marked the search keywords wrt search volume, competition. The simple 2 X 2 matrix, helped them identify the low hanging fruit which they went after and acquired. As the market has matured, where most high volume, high competition keywords are addressed, they are moving across the matrix to address medium volume (short tail) & low volume (long tail) keywords. His experience long tail allows him to confidently say that the conversion rate for long tail keywords is 2X more than short tail keywords. We closed the conversation, with Akshay sharing SEO conspiracy theories that involved some known entities. Ironically, I have felt the same & also heard the same from a few other merchants. More on that another day, when we both are no longer in our current roles, but for now. Its thank you. About Tagalys: Tagalys helps SMB Mid Market online retailers using Magento & Shopify with high conversion category/product listing pages & Site Search. About Candere: Candere by Kalyan Jewellers, is an initiative to make fine jewellery more affordable and accessible to you than it ever was. Candere’s philosophy is to offer customers extraordinary value on the largest inventory of fine jewellery and certified diamonds with the comfort, convenience and security of online shopping. It’s a world-class shopping experience from the convenience of your own home. Recently we had a quarterly business review with a leading fashion retailer who is also a customer of Tagalys. 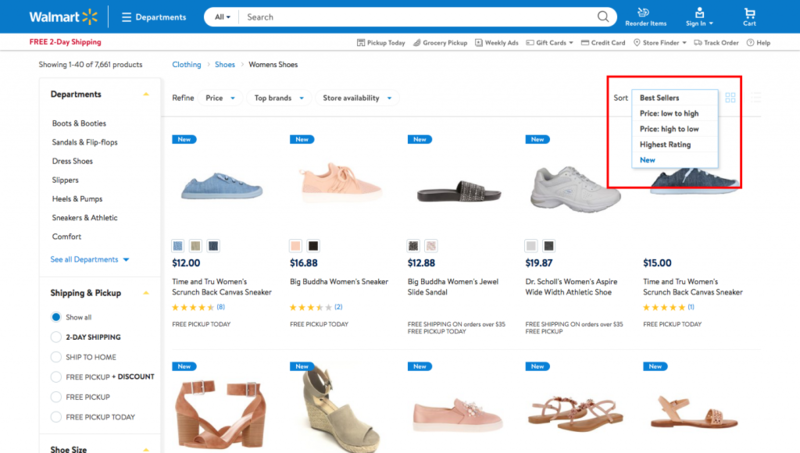 While the retailer had 7 filters displayed on their search and listing pages, these filters were not the most relevant filters to the end visitor. Irrelevant filters will increase the bounce rate of your search or listing pages. 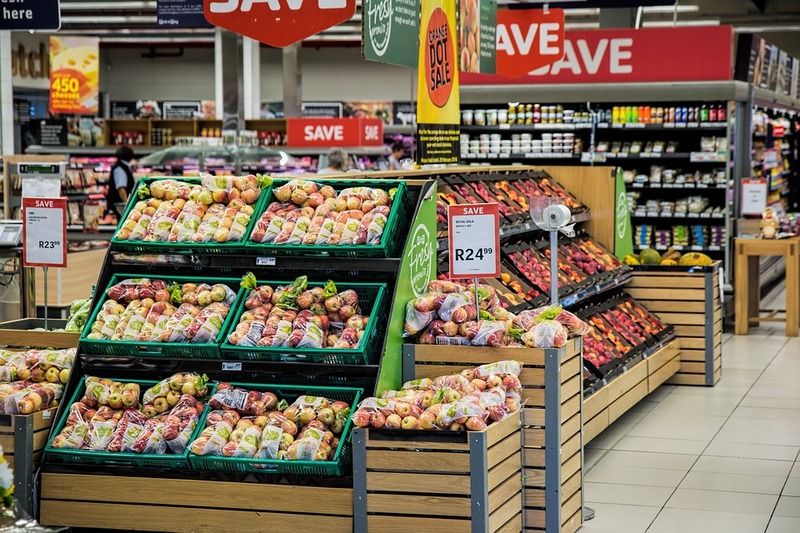 If yours was a physical store, what are the questions a visitor will ask your store associate about a product before purchase? E.g., Do you have a dress on sale for less than $199 without sleeves and a V-Neck preferably in black or white? 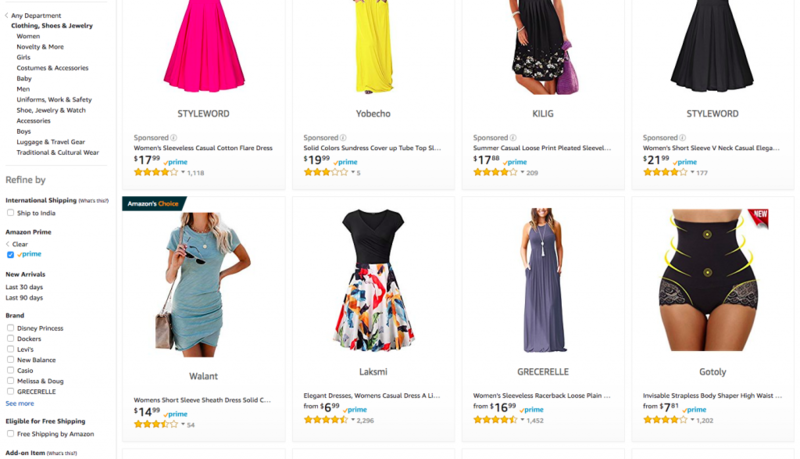 So if this was an online store, you need to have the product type, price, discount, sleeve type, neck type and color as must have filters on search or listing pages for the product type of dresses. Now that you have identified the top X filters that your visitors deem important, make sure you display them in the right order. For example, if your selling dresses, almost every visitor will only want to see products that match their size. So you want to ensure your visitors choose a size before they continue. What would be the most common order of filters that visitors would drill down to find products? Do not overwhelm your visitors with everything, but display what is most important and dynamically open up other filters as your visitors drill down. One of the worst experiences is clicking on a filter to find no products. Make sure the search results & the tags within each filter are updated as soon as you make a selection. Only display tags that have more than a product tied to it and hide or deactivate other tags from being clickable if they have no products upon the previous selection. We have seen our customers populating the filters on the left or on top of the listing pages. While we are not opposed to either, we are probably a bit biased to displaying the filters left of the results, because it gives you more surface area to play around with how you can show the tags within the filters. If you display the filters on top of the results, you are limited by the screen width to display the filters and it will run to more than 1 row making the experience a bit cluttered if you have many tags within the filter. All of the above is subjective to your vertical and the audience you are serving. It is imperative to track how your visitors interact with the filters to keep fine-tuning the filters. This can be done using tools like Mix Panel or requesting the same from Tagalys, where we will display reports showing how visitors have interacted with each of the filters displayed in the Tagalys search or Listing pages. Category pages are used to display products available at the online store or in digital marketing campaigns. 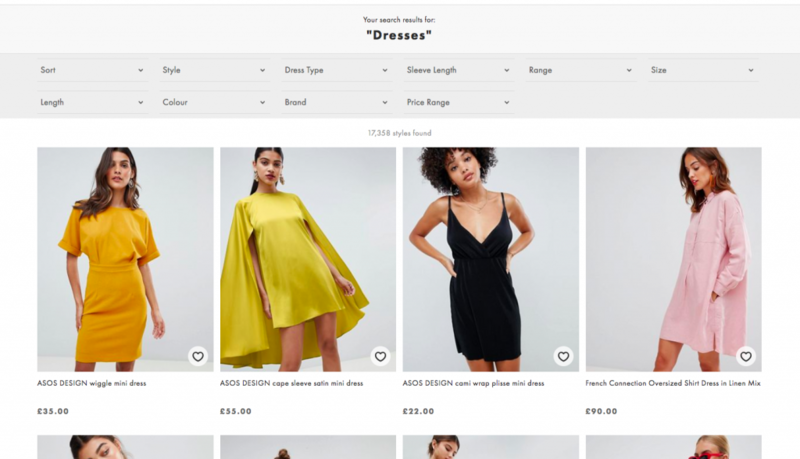 To ensure maximum engagement and conversion, retailers need to display the right UI elements for the page to perform well. 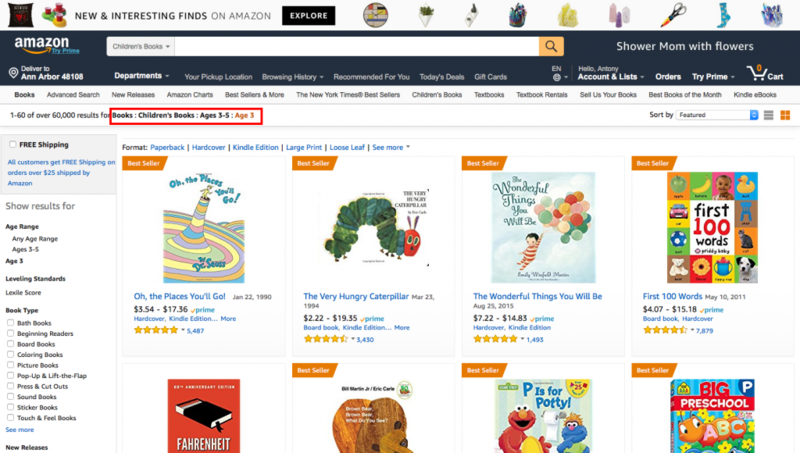 What are the must-have UI elements for Product Listing and Category Pages? While it may be obvious to you the retailer, it is not always clear to the online visitors what the listing page is about. Clearly displaying the page title and heading is critical for visitors and search engines to know upfront what the page is about. Every product listing or category page has a variety of products that contain different attributes & tags. 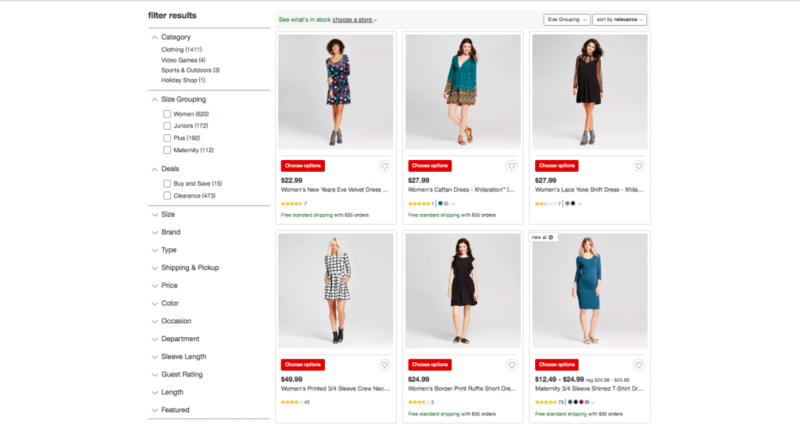 Online visitors are used to applying filters to quickly find products that meet their intent. For this, having an expanded filter and facets on the left side of the listing page is the ideal user experience expected by online visitors. Sometimes retailers show filters on top of the page, which is not the ideal location. 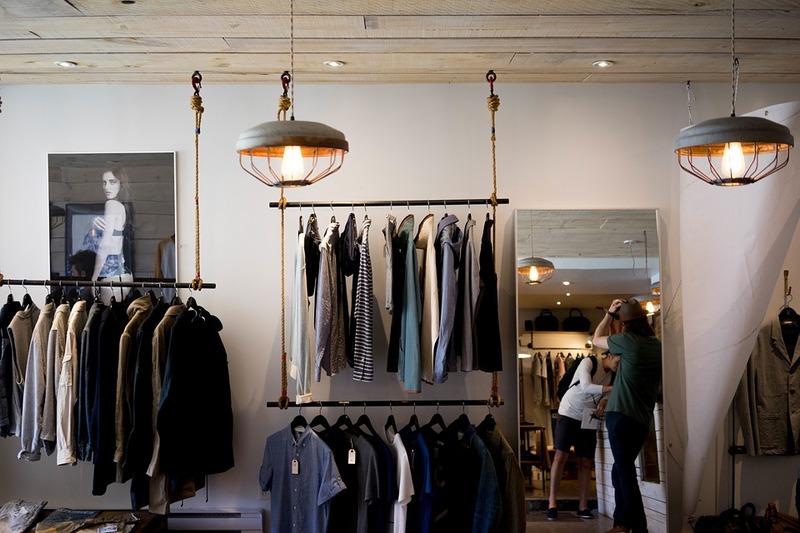 As a retailer, you want to display the best image that clearly showcases details of the product. Hence a large image is selected, but that will limit the number of thumbnails displayed to less than 3 per row. The idea of the listing page is to create interest to improve CTR to the product detail page. This is where you get to display all details with options to zoom into the image. 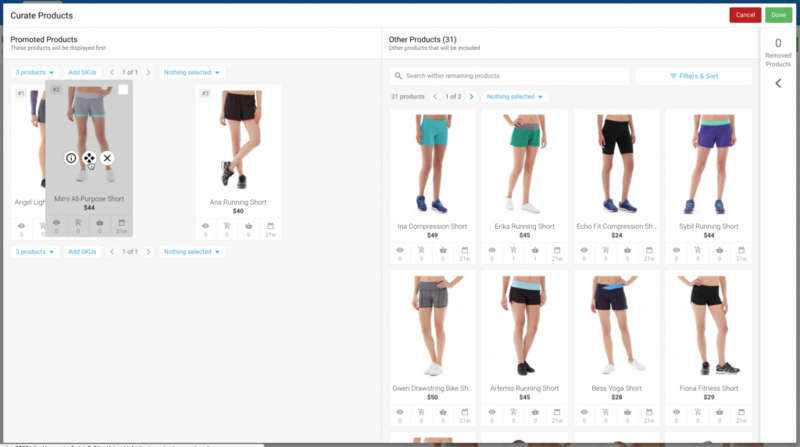 The resulting impact of reducing the thumbnails per row is that the visitor has to scroll more pages to see all products displayed on the page. This increased the bounce rate as page scrolls per visitor increases. The leading retailers show between 3 to 5 thumbnails per row. Watch our demo site to learn more or schedule a 1:1 demo with us at your convenience. What are you waiting for? Start your 28-day free trial immediately. 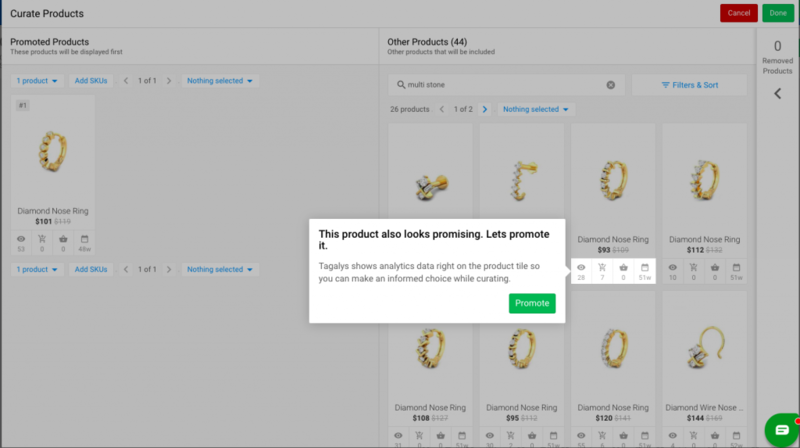 If you want to learn more about how Tagalys Product listing pages can increase SEO traffic or improve conversion with data-driven product sorting, this article will not cover it. 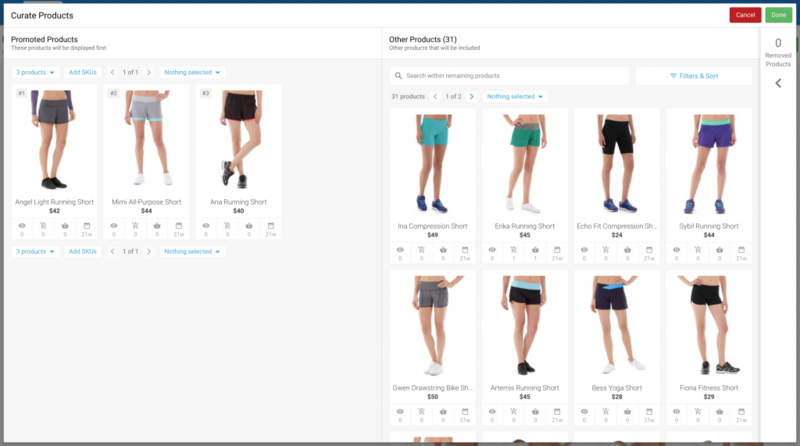 This post only covers the aspect of how Tagalys provides performance data that aids retailers in e-Commerce visual merchandising. 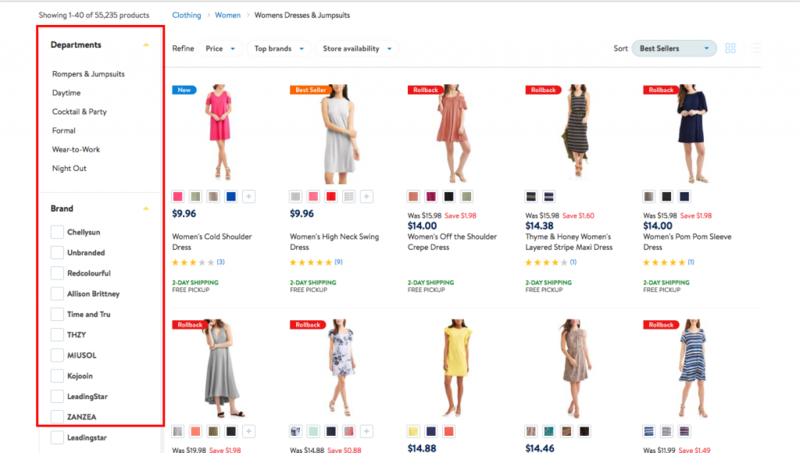 As a category manager at for an online retailer, you have to continuously create new product listing pages either to refresh the content at your site, your visitors always want to see something new. Or you need to create pages for digital marketing campaigns to attract visitors based on what they want. Most leading retailers have a daily/weekly marketing schedules that require refreshing the content of product listing pages on the website. By refreshing we mean, you may carry category page of Rings, Womens Rings or Womens Gold Rings. But data shows your audience is interested in Women’s Gold Rings under $999 or Womens Gold Rings with Emerald in this season. So refreshing is nothing but creating a new perspective on products that already exist at your online store. While this may sound simple in the last statement, think of doing the same on a daily/weekly basis, with the flexibility to create any possible combination of a listing page without thinking twice. 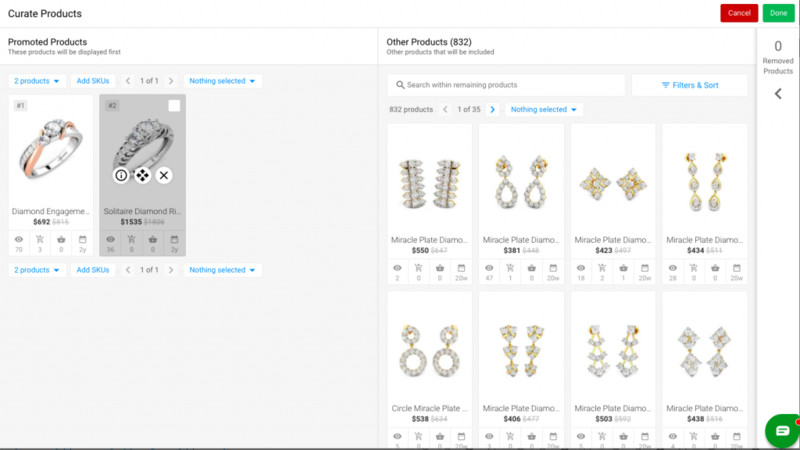 Now you might be thinking, you can do the same by applying filters to a category page for Women’s Rings. Absolutely, that’s the easy fix that almost everyone uses, but it is not the best for conversion at your store. 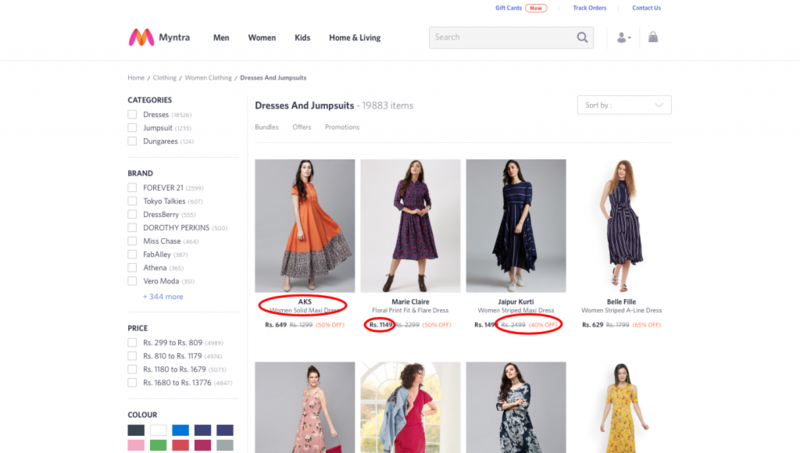 Almost all e-commerce platforms do not process analytics data, hence the resulting sort order is a just a list of products and not displayed to increase the conversion rate for that page. You need every page to be optimized for conversion to increase revenue and that is the No 1 reason why retailers choose Tagalys. With the flexibility to ensure what visitors see on the page matches the banner they clicked on, backed with the fact that the products on the images are there due to a decision backed with data, will ultimately help your online store improvement engagement & conversion with your visitors.